Dry. Waitrose Blueprint wines are crafted to reflect the world's classic regions and styles. 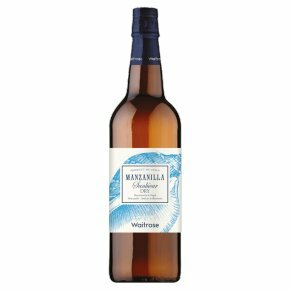 Dry, vibrant and fresh with a tang of sea-salt, this has nutty characters and is aged in the coastal town of Sanlúcar de Barrameda. Ideal with olives, tapas and hard cheeses.